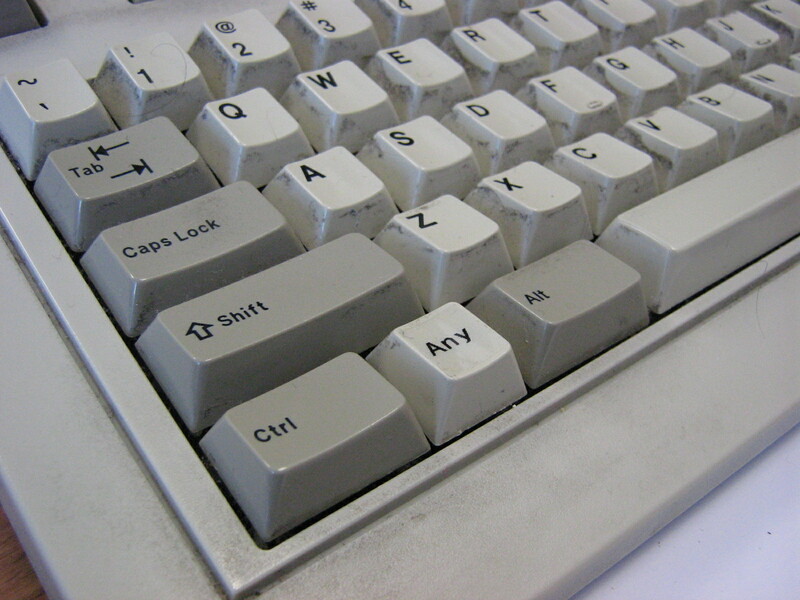 And yes, that key between the Ctrl and Alt keys is labelled “Any”. The true irony of this is that this key doesn’t actually do anything. 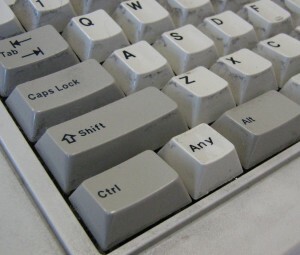 No key-code is generated when you press it, so pressing the “Any” key in response to “Press any key to continue” will result in a distinct lack of continuation. We all have our favourite tech support stories, the “my cup holder is broken” cases, the “it works better if you plug it in” cases. So I wonder how many of us have actually had someone ask where the Any key was? Once I got called out to look at a printer that apparently wasn’t working. The data plug was upside down. It was a D-shell plug, and they only go in one way, but there it was. I turned it over and it worked fine. I know you don’t believe me. I wouldn’t believe me. But it did happen – the male plug was a wee bit bigger than it should have been, and only had a few pins installed which in turn were a bit loose, and the combination of these faults meant it actually went together and seated tightly. Many, many moons ago, back in the days of serial terminals and multiplexors, the boss came by, saying, “I just had a call from the Auckland office. They say all their terminals are down.” I muttered something unprintable, and wandered into the comms room. Looking at the multiplexor, I noted the “RA” light flashing. Remote Alarm, meaning the mux couldn’t see the mux at the other end. Probably a comms fault, hardly the first time. Moving up the rack, the NTU on the data circuit to Auckland indicated that it couldn’t see its partner at the other end. That could just about explain it. So I ambled off in the direction of the technicians’ office. Back then the telco stuff was handled by the people who looked after the phones, and that meant the techs. So I told Evans, the head tech of my findings, and he picked up the phone to put through a fault call. Later that day, I ran into Evans in the corridor. “What’s up with that Auckland circuit?” I asked. This entry was posted by don on 11 Jun 2010 at 5:12 pm under Perversity. Tagged hardware, murphy's law, tech support. You can leave a response, or trackback from your own site. Follow any responses to this entry through the RSS 2.0 feed. Well, like I said, I’m not a fan of the IBM battleship keyboards because of the noise. Keyboards are such a personal thing; I had a favourite back in the green (or amber) screen days which a colleague described as “like typing on M&Ms”. On the other hand, I despised the DEC LK201 keyboards as feeling spongy, but always found that they were very easy to type accurately on despite their various annoyances. Anyway, there are some manufacturers who build proper keyboards besides Unicomp (who make the loud IBM keyboards these days). Look into brands such as Filco, Topre and PFU.